Free Kickboxing Classes Near Me. Video is a great way to introduce potential students to what you’re about. It is also a fantastic way to coach your present students. Footage caught can help so much, yet cost so little to produce. In Martial Arts training video footage can be a great asset to learning. I know of many Instructors who have used this invaluable tool for their own needs. Using it to document intricate movements of weapon or open hand forms. Then in times of uncertainty or doubt referring back to it to recover lost or unclear memories. The Martial Art world is a huge place, made up of different styles from every country. Their cultures and training methods are entwined with how they live and trained. Without correct documentation of training techniques and methods, handed down from ancient masters, a lot of its history and secrets would be lost! So keeping accurate training information was very important. This usually was the responsibility of the ancient masters. They would create training manuals to capture all of their training method and strategies. Manuals have always been a good way to pick up knowledge on any subject of Interest. But following written manual where flowing movement is required, can be a difficult task. Using video footage can capture everything in great detail. Every movement and position can be easily followed in great detail. Allowing anyone to achieve perfect technique. Using a device that allows the user to freeze or see any movements in slow motion is invaluable. But when it’s being used for combat training a partner is still going to be required. There will never be a DVD that can replace a partner or the realism that training with a partner brings. 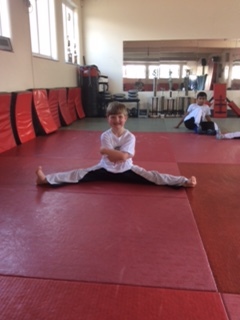 But helping to build a good foundation, to learning and understanding the Martial Arts can be achieved. Kung Fu. Slow motion demo. Free months training for New Beginners. T&C's apply. Train Hard , Fight Easy! Book your session now! 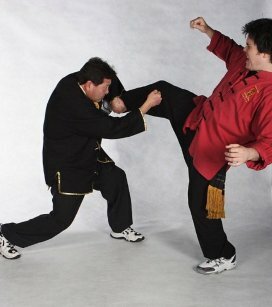 Sifu Derek has over 31 years’ experience in Martial Arts. His training started with learning Lau Gar Kung Fu under Sifu Chong. At the time he was a key figure head in the British Kung Fu Association (B.K.F.A). Under Sifu Chong he achieved a 2nd Degree Black Sash. He then took his training to a new high and under Sifu Lewis, who was also a key figure head in the B.K.F.A. Vince is now the Chief instructor and founder of Black Dragon Kung Fu. Under the tuition of Sifu Lewis, Sifu Derek was awarded his 3rd Degree Black Sash in Lau Gar Kung Fu. Contact Us Now for your free session! 2nd Floor Block C, Sawday Street.Leicester.LE2 7JW.